China's ZTE is still sticking to the low end in North America, but in its home country, the manufacturer is a huge player. Evidence of that lies strewn about ZTE's booth at Wireless Japan this week, where it's showing a pair of WinMo devices plus a Linux-based model that look ripe to compete with some of the best in the world. First up, the RAISE and XIANG do WinMo and HSPA for China Unicom's Wo network, rocking 5 and 3.2 megapixel cameras, respectively. The D820 reps the open-source world (though we're not sure what kind of Linux distro is running on it -- it's not Android, if we had to guess) and runs CDMA with WiFi, GPS, and a 2 megapixel camera. We're not sure if ZTE is using phones like these as warmups for more global launches, but given what we're seeing here -- and the low price points they're likely looking to hit -- we're all for it. 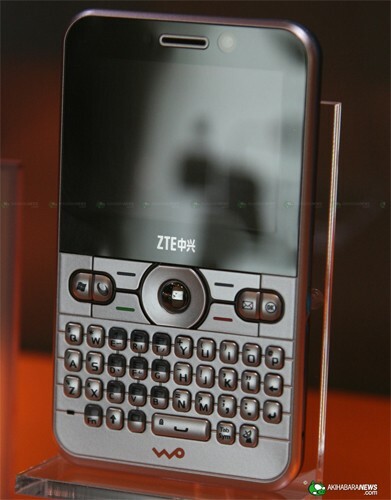 ZTE shows off recent smartphones at Wireless Japan originally appeared on Engadget Mobile on Thu, 23 Jul 2009 11:14:00 EST. Please see our terms for use of feeds.